What Influence Does Personal Physical Activity Tracking Have on Retention? Who is using fitness tracking devices and which devices are they using? Are members who track their physical activity more motivated and do they feel like they are making more progress? 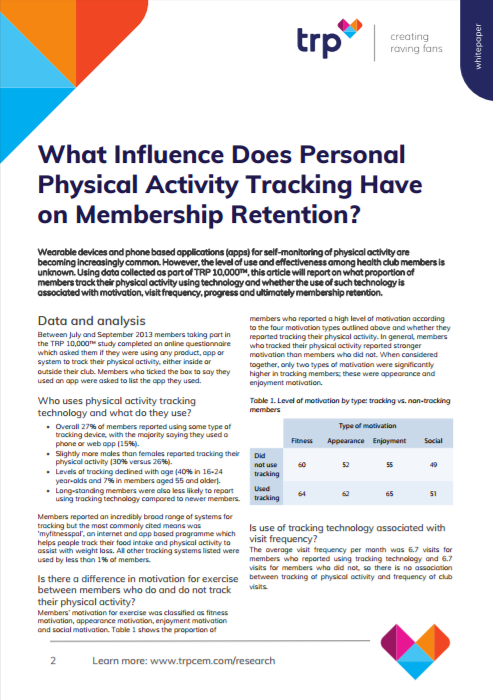 What influence does personal physical activity tracking have on member retention?